Earn up to 2,632 reward points. The Gallien-Krueger 112MBX Extension Cab for Micro Bass lets you hang on to your portability while extending the output of your MB150S or MB150E combo amp. 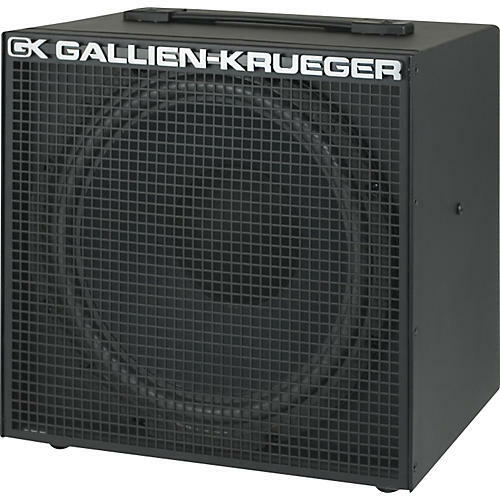 At just 16 lb., this small but mighty Gallien-Krueger speaker cabinet shares the same sealed aluminum chassis, steel grille, and 100W speaker with the combos. The optional MB Mic Kit lets you mount the 112MBX on your mic stand for greater projection. Gallien-Krueger gives you a 1-year warranty on speaker and a 2-year warranty on electronics with the 112MBX. Click or call to get your hands on this micro monster!